A benefit of having an active organization is attracting competent associates. With over 7,000 hours of Rotary wing time, Pete is valuable not only for his experience but also, like so many of our other volunteers, for his energy and his drive. Entering service during Vietnam, he has instructed and flown large and heavy helicopters during his Army and Fire service years. 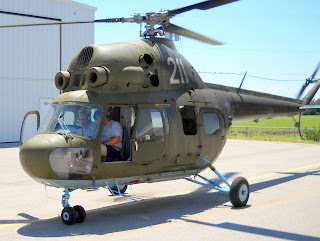 Also with fixed and rotary wing ratings, Mike's service as an Aviator and Helicopter IP was a few years later. 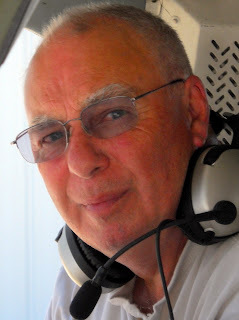 He keeps his skill with collective and cyclic, rudder and stick active with his own aircraft on the field..
Born in what is now the Czech Republic, Mike's language skills and contacts in Eastern Europe are an additional benefit for the museum. We are fortunate to have these and many other fine associates and volunteers helping with the museum. 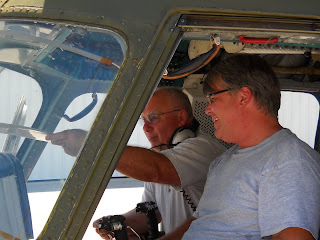 Pete and Bruce enjoy an after flight review in the Mi-2.